At Glow Medispa, we’re committed to providing our patients with the best cosmetic services available today. This commitment doesn’t just end at our state-of-the-art treatments — we’re also proud to give our clients access to some of the most effective and beneficial skin care products and cosmetics available today. This is why our practice is so proud to distribute jane iredale® makeup products at our location. These clinically-tested products can give our patients the beautiful makeup they desire without damaging their skin in the process. Glow Medispa serves patients in the greater Seattle area. If you’d like more information about our practice or are interested in scheduling an appointment, contact us today! 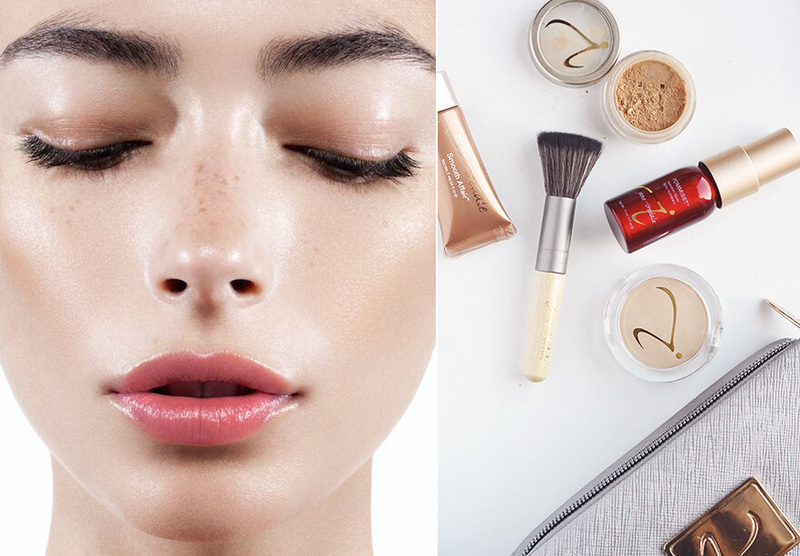 What are jane iredale® Cosmetics? jane iredale® is a line of high-quality beauty products created by none other than Jane Iredale. Jane founded her line of cosmetics in 1994, establishing one of the first mineral makeup companies to create makeup products that were beneficial to the skin. She was inspired to create this line of products after working with countless people in the entertainment industry who dealt with skin problems caused by the beauty products they wore on a regular basis. Since creating this line of products, Jane has helped countless people maintain their skin health while still being able to use gorgeous, head-turning makeup products. In addition to providing people with makeup products that keep their skin healthy and radiant, jane iredale® also boasts a line of high-quality skin care products that can be used to further nourish and protect skin health. Why Does Glow Medispa Offer these Products to our Clients? Glow Medispa is committed to helping our patients better understand their skin, and find products that work well with their unique skin type and tone. Part of this commitment is offering our clients only the best when it comes to both skin care and makeup products. During a skin care consultation appointment, a member of our practice’s expert medical staff can evaluate your unique skin type and choose the jane iredale® products that will work best for you. These products can also be selected based on your unique skin tone and aesthetic preferences. Are you interested in learning more about the jane iredale® products that our practice offers? Contact Glow Medispa for more information, or to schedule a skin type evaluation consultation appointment. We look forward to hearing from you, and helping you look and feel your very best!